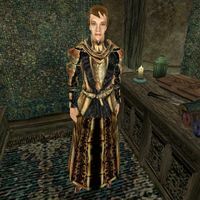 Milie Hastien is a Breton clothier who has a shop in Balmora, where she has a large stock of fine clothing for sale. Milie is unique for being the only merchant who restocks some extravagant clothing items. She is also one of only two merchants who restock expensive clothing, the other being Falanaamo. This page was last modified on 26 November 2013, at 23:42.